Went down to the Olympus Pen Roadshow a few Saturdays ago along with Claire to check out the camera and also give our support to Valerie who's involved in the Olympus Video Blogging contest. Here's a photo of me taken with my own camera, added filter using editing software. All these steps you can skip if you have an Olympus Pen. 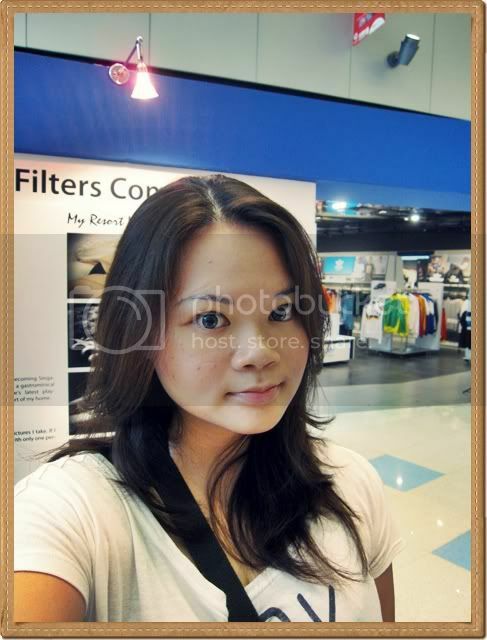 It has art filters, E-portrait which auto remove the blemishes and smooth out your complexion. I was totally wow-ed by all these function when Valerie showed it to both Claire and me on her EP1. 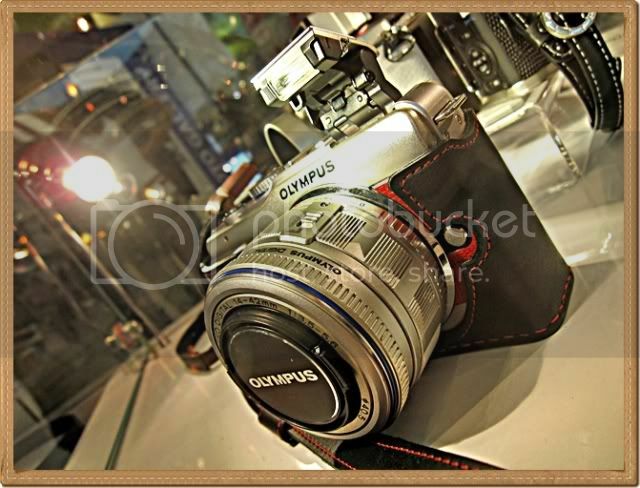 Look at these vintage looking cameras in their pretty leather casing sold separately. This is the EPL1 with the built in flash. It looks awesome in that black leather casing with red thread outline. If you're wondering why I know so much, cause I have been doing research on Micro 4/3 systems as I'm thinking to upgrade to one. 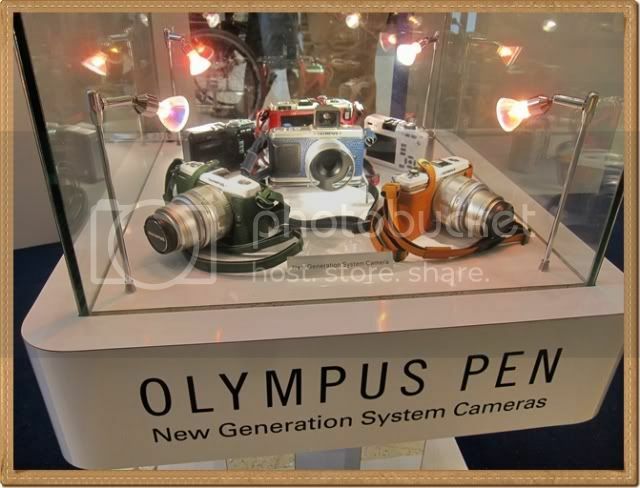 6 Response to "Olympus Pen Roadshow"
It looks old style camera, but what made me surprised abot the camera is why the price is almost the same as DSLR in 2 or 3 digit for CANON. But, anyway each brand has its benefit. Thanks for posting the review joyce, nice song !